We are here to help transform your outdoor living space. 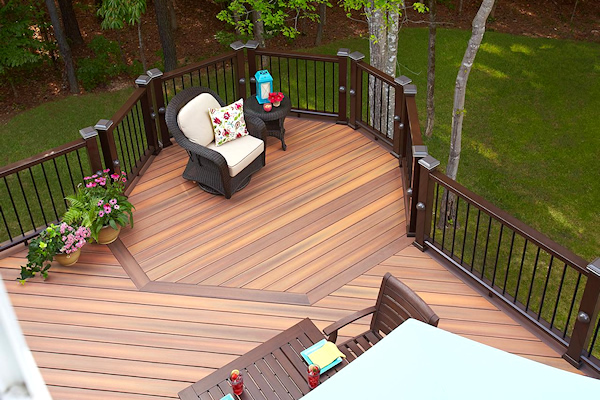 Our decking suppliers and manufacturers provide homeowners with outdoor living products that offer lasting beauty, genuine value and easy maintenance. Information courtesy of Clubhouse Decking's website. Clubhouse Decking products represent a new generation of engineered polymer decking that incorporates advanced material science, world-class engineering and patented performance manufacturing—all to produce a low-maintenance deck that remains stunning through any kind of weather. With no wood or wood fillers to warp, rot or break down, a Clubhouse deck will outperform and outlast natural wood in looks and performance. Its super-dense structure is lightweight yet strong, impervious to water, and provides dramatic strength and protection against impact. What's more, innovative capstock technology results in a stunning low-gloss, natural matte finish that resists oxidation, clouding, fading and staining far beyond other materials. 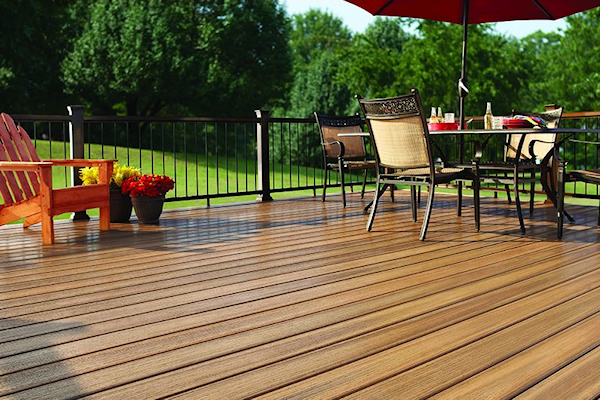 Clubhouse Decking provides homeowners with exclusive technology that performs beautifully for years to come, with just a light cleaning to keep it looking its best. Information courtesy of iberon's website. Fiberon offers beautiful outdoor spaces, designed to endure. Free time is best spent with family and friends – not paint brushes and scrapers. At Fiberon, we take pride in creating outdoor living products that offer lasting beauty, genuine value and easy maintenance. And because great outdoor living is nothing without the great outdoors, we incorporate eco-friendly materials and sustainable processes into everything we do. 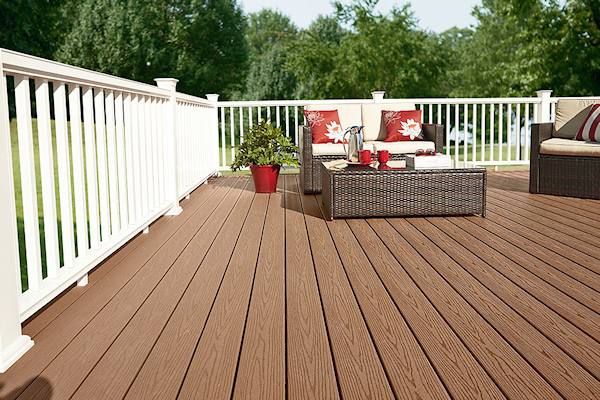 Since 1997, Fiberon has been manufacturing and selling high-quality composite decking and railing products designed to make outdoor living easy. Everything is made in the United States, either in our home state of North Carolina or in our Idaho facility. Fiberon products are made from recycled materials. That means we can divert more than 60,000 tons of wood and plastics from landfills and incinerators each year. Our products are free of harmful chemicals, produced using sustainable processes, and contribute toward points in LEED and other green building rating systems.